After seizing the largest Bitcoin exchange’s assets just earlier this month, the Fed’s have now taken down the largest e-currency exchange on the planet, Liberty Reserve. (AP) The U.S. Secret Service have arrested five individuals and seized multiple bank accounts related to a $6 billion money laundering scheme being described by authorities as “staggering” and the largest ever case of international money-laundering. In a statement, Secret Service officials said authorities in Spain, Costa Rica and New York arrested five people on Friday and seized bank accounts and Internet domains associated with the company Liberty Reserve – a Costa Rica-based website that deals in digital currency and allows transnational online payments and money transfers. According to the statement from the Secret Service, Liberty Reserve had approximately one million users worldwide with more than 200,000 users in the United States. Overall, the company processed an estimated 55 million separate financial transactions and is believed to have laundered more than $6 billion in criminal proceeds. Read the description of what Liberty Reserve was, ever so carefully, and then tell me, where is the line between money laundering and creating a currency not sanctioned by a global government? Don’t answer that; because there isn’t one. This isn’t some kind of legal game, kids, where the US plays nice with you in court. Take a close look, and realize the the US government treats serial killers, pedophiles, and rapists better than it treats anyone even coming close to impeding the status and legitimacy of the dollar. Walk into a school and open fire on packs of school children, and you will receive more sympathy from a federal prosecutor than you could ever hope to get from messing around in electronic currencies. Keep in mind, the feds don’t need to stop you from trading crappy hair cuts for help siding your house. That sort of black market behavior is everywhere all the time. But by forcing compensation in national currencies, that largely clear through a handful of major banks, the current fractional reserve system has given undo and excessive control of the national economy and financial opportunity into a concentrated process – and they aim to keep it that way. Your Bitcoins have roughly the same dynamics as common IOU’s between friends, because any major attempt to link them into the current financial systems will be met with felony charges and people’s lives getting destroyed. The liquidity premium everyone’s hoping for with these e-currencies will be strangled to death every time it surfaces. Sipping on the edge of the liquid pooled in this glass, my eyes slip out of focus. And as the 9th floor fades from view, an unclear image is left. 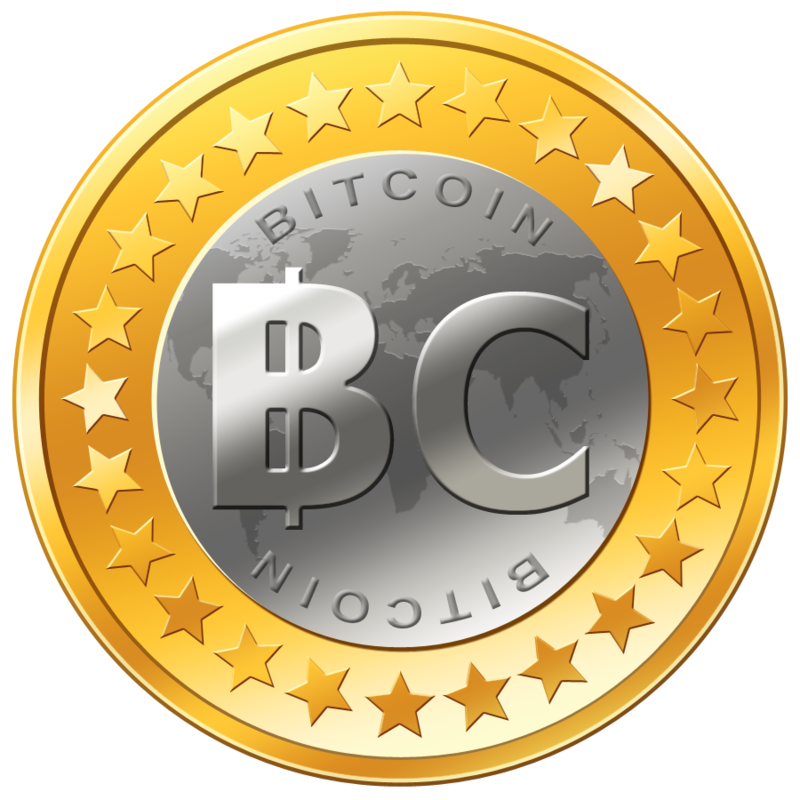 It is a premonition – perhaps call it instinct – of what is going to happen if bitcoins continue to gain popularity. I should say that I see only one way this prevision does not come to pass; if the bitcoin was created by the US government, for some probably lunatic reason, like social experimentation, or beta testing taking the dollar virtual. Shy of that, those of you buying these little wayward programs are pretty screwed. This is what is waiting for you at the end of that tunnel. Whoever the central players are in this game, when the FBI finally becomes aware of it, you are lamb fodder. Do you think the US government is going to play fair with you? That they’ll just sit by and watch as you play games with their status as the global reserve currency, all because you started doing the same thing with some MP3 files back in the 90’s? I will provide some background here for those of you who aren’t familiar with me. I am not a government advocate, nor do I particularly like that the US political system has control of something as important as the measurement stick of over half of all financial transactions occurring on planet Earth. I especially dislike that this position allows clowns-in-suits like US Congressmen, government agency employees, State officials, municipalities, banks, people in unique positions of influence, friends of the aforementioned, random con artists,….a half dozen others…to engage in the wildest stupidities at the fringe of their imaginations without immediate and dire consequences. And I don’t exactly respect the government for its ability to pass, implement, and enforce laws. In fact, I generally get a kick out of most non-violent, non-harmful crime. Example: a guy who owns a fully automatic weapon and regularly posts videos of himself shooting it online. Hilarious. No one gets hurt. It’s in mock contempt of a half dozen laws. And there’s nothing the government can do about it. Tracking him down would be prohibitively expensive, especially considering that he isn’t actually doing anything. Another example: buzz sawing cattails. Know what cattails are? Weeds, mostly. But they are apparently sacred weeds, as cutting them down gets the DNR and EPA driving 3 year prison sentencing down your throat if they catch you. Amazingly, that never really stops anyone. But just because the US government is totally inept at catching most forms of “crime” (and equally bad at conveying what constitutes legitimate need for criminal statuses in the first place…), that shouldn’t trick you into thinking you can get away with anything. In fact, the US government is an enormous trillion dollar organization, and that’s quite a bit of firepower to have coming your way if you happen to be doing one of the things the government absolutely-will-not-tolerate you doing. Now that I’ve explained that, let me point out why bitcoin is such a serious threat to the US government. First, the US government is completely reliant on its status as the global reserve currency to fund its deficit. Any assault to that status is an immediate game changer as it is, as it would force the US to spend within tax receipts, or else suffer real, actual consequences. We get away with printing because it all ends up over seas, in accounts, or traded for bonds. Second, because of the peer to peer method, if left unattended, tax receipts along with most trade reporting would drop off the map. Not from corporations. The US can steel fist corporations into staying above ground because their assets are holed up in the financial system and the half dozen major banks left in operation. But definitely bitcoin has serious risks to the ability of the US to collect taxes and track spending. Think Canada black market on crack. People show what they’re doing just enough to qualify for healthcare, then back under the surface. Thus, after losing the ability to print money or borrow indefinitely, the governments ability to collect from their citizens would also be hindered. And finally, because it undermines the ability of government to track behavior. Think about how much time is spent by groups like the Fed maintaining huge data collections about what people are up to. They don’t do that for sport. They do that because it lets government plan ahead about how to position themselves. Does the country need more agriculture? More oil? Are people hoarding gold, electronics, food staples, clothing? Is there trouble brewing? These measures don’t just provide wealth to people sitting somewhere in an agency. They also give a heads up to stewing problems. They provide a knowledge base to gain an edge. The feds have spent the last decade tightening down the financial system for a reason – we’re now at the point where we can track rogue money orders and stamp out terrorist cells trying to collect. That’s not easy, and it’s not possible without a centralized financial system. Bitcoin hits each of these three sore points, so I can guarantee you if it keeps gaining in popularity, then the FBI will crack down, and do so ruthlessly hard. Well, I could see three basic steps being taken to crush this if it keeps getting out of control. They are extreme, and sound fanciful, and most of you will say “no way”. And that’s why I’m worried about them. 1) no more free and open internet. You think the Federal government cares about maintaining a free and open internet? They don’t care. They maintain it that way right now because it doesn’t exactly hinder them and because it’s a politically sensitive subject. In fact, the free and open internet structure we have has proven wonderful adept at striking down our enemies. Because generally speaking, the US political system is still way better than any of the alternatives. Because our leaders just steal a bunch, and lie. They don’t kill a few thousand people when they get caught doing it. And you’re still mostly free to go about your lives. Plenty of you mistake the government adherence to an open internet platform as meaning they can’t pull it off. And they probably can’t, not totally. Public employees aren’t that good. But much of their reluctance to try has more to do with the tradeoff gain/loss dilemma than them actually not being able to police the internet. Let’s say some guy steals a hundred dollars worth of media on the internet. Great. So you bust him and fine him and throw him in jail, or just generally set about getting him fired. Now tell me, how much has the government lost in tax receipts from him? How much did they lose setting up the agency in the first place? But bitcoin takes it all a step further and challenges the ability of the US government to even exist. You hit that level, and the internet will be put on lockdown. With lots of babysitters looking for “sharing”. And maybe not everyone gets caught. But plenty do. 2) Bitcoins declared illegal, with steep punishments for trading them. Now, bitcoin is nothing but a managed exchange system. The programs you’re moving around have no intrinsic value. Few people trade them. It’s all about the accounting mechanisms, the way the purses talk to the system to make sure fake coins aren’t entering circulation, and the fact that (allegedly) someone out there can’t produce a lot more of them. What are these things worth if you can’t move them? If the government cracked down on silver or gold, I could bunker them for a while, and still know they’ll be there when I get back. Maybe the value will have changed, or the risks, but it’s not like suddenly my ounces will change measurement. What’s a computer program generated by a complicated algorithm worth if the entire underpinning promise – free peer to peer trading – is taken offline for a few weeks or months? 3) task force created to find and destroy all bitcoin users. There’s allegedly $1 billion worth of bitcoins out there right now. What would I do if I was charged with crushing this thing? Well, I would take a few billion dollars (a pittance of the US budget), and I would seed it into a few thousand accounts. And then I would get a few thousand agents together, and go out and start trading these things for whatever you lot are buying with them. And I would track you. And I would use the Patriot Act to do it no questions asked. Because as our good friend US Attorney Tompkins said, “you are the scum of the Earth, and have conveniently ceded your rights as a US citizen.” And once I mapped out pretty well who the major players are, I would pick perhaps the top 25th percentile of you – the millionaires – and I would utterly destroy every fabric of your lives, very publicly. And bitcoin would probably not survive the event. This is more or less what the founder of bitcoin was afraid of, and eluded to, before he fled and covered his tracks with his anonymity. It’s a shame it is going to play out like this. He seems like a brilliant chap, and I appreciate that. And I wish we lived in a world where these very capitalist, very libertarian ideals of free trade, honesty, and liberty to live out your life without being conscripted to death-by-a-thousand-causes was possible. But we don’t live in that world. We live in this one; where this clever little open source project threatens the bread and butter of a group of people that you couldn’t pay me to drop my guard around. So the founder and intellectual father of bitcoin escaped. But if you’re going fully dedicated to this thing (and not just laundering money out of the EU), then I can say I see only dark and painful, life ending-equivalence lurking for you on the horizon.